Two-thirds (65%) of women and 27% of men would not apply for a job at a company where “men and women are not equally paid for equal work”, according to a poll by Glassdoor. What is an equal pay issue? It’s where a woman receives less pay than a man doing the same or a similar job. For example, in the Asda case, claimants argue that work done in stores is perceived as “women’s work” and is paid less than “men’s work” in depots. A gender pay gap is the difference in earnings of men and women, irrespective of role or seniority. For example, an organisation run by men in senior roles, with women taking mainly junior roles, will have a gender pay gap. 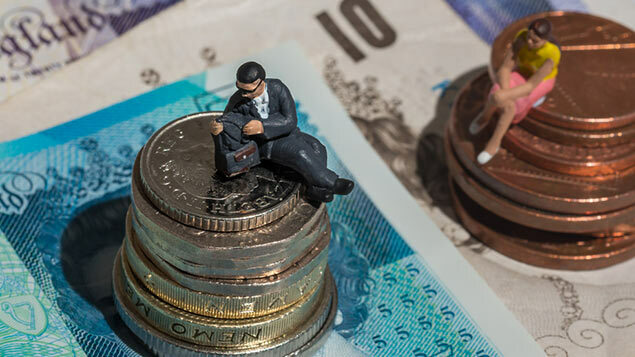 The imminent introduction of new rules around gender pay gap reporting sees employers with 250 or more staff publishing gender pay differences for the first time. But some believe a lack of public understanding of the difference between equal pay and a gender pay gap means many will confuse the two. “The gender pay gap is set to be a major issue in the UK this year, not least because employers are grappling with the challenge of how to analyse their own data and there is a relatively low level of understanding amongst the workforce about what causes the gap,” said Andrew Chamberlain, Glassdoor’s chief economist. The poll, carried out among 2,000 workers last month, shows that employees are supportive of greater transparency around pay, with two-thirds (65%) believing that employers that embrace salary transparency can help eliminate the gender pay gap. Chamberlain continued: “Simple gender pay gap reporting doesn’t give any real insight unless people know what the causes of the gap are or if men and women are paid equally for equal work. Separate analysis of Glassdoor’s user data, uploaded anonymously by 22,500 employees in the UK, suggests that the gender pay gap is 22.9%, with women earning 77.1 pence for every pound earned by men. However, even after Glassdoor introduced statistical controls for differences in age, education, experience, industry, company and job title, women are still paid 5.5% less than men. Glassdoor’s economic analysis divides the gender pay gaps into an “explained”, due to differences between workers, and “unexplained”, due to workplace bias or unobserved worker characteristics. Most of the gender pay gap is explained. The “unexplained” part is 36% in the UK, suggesting overt discrimination alone does not explain most of today’s gender pay gap. Mark Crail, head of salary surveys at XpertHR, said: “This study highlights the importance for employers of getting a good employee communications plan in place when they publish their gender pay gap data. “In almost every organisation, most if not all of the gender pay gap can be explained by structural differences in employment, some of which are beyond the control of an individual employer, rather than by equal pay issues. But that is not going to be the first thing that springs to mind for an employee who comes across their employer’s gender pay gap data. Additional reporting by Rob Moss.